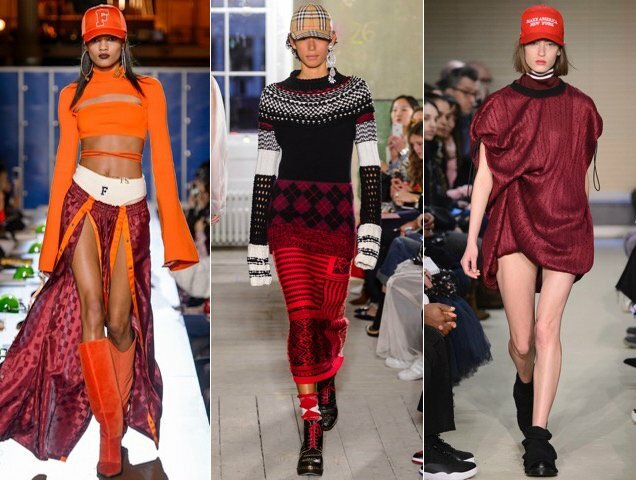 Even with all the hoopla surrounding athleisure and glamleisure, there are a few key sporty elements that haven’t taken off with the fashion set: sweatbands, sports bras and baseball caps. But that’s all about to change thanks to Gucci. 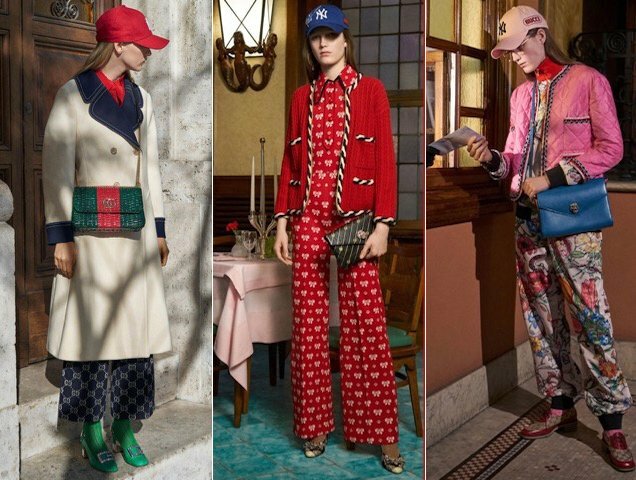 For Fall 2018, the brand is set to release its partnership with Major League Baseball (the first high-end designer pairing on the league’s roster) and since Alessandro Michele is a big tease, he gave us a preview of the caps for Pre-Fall 2018. They basically involve adding the Gucci logo to Yankees caps (other teams are said to be in the lineup) with some glitz and flowery prints thrown in for good measure. And because Gucci is now synonymous with excess, the hats capped off a variety of pattern-heavy layered looks. 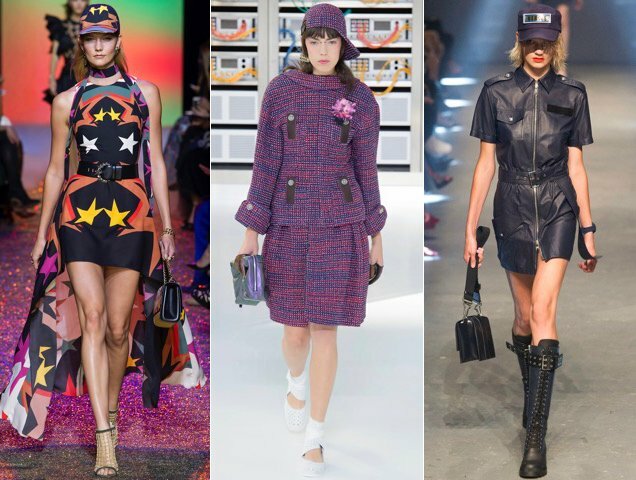 Truth is, baseball caps have been popping up on runways for a few seasons now. When Elie Saab presented its Spring 2017 collection, graphic caps served as toppers for many of the designer’s trademark super luxe gowns. Chanel opted to place a sideways baseball cap on a large portion of models that same season, from versions fashioned from the label’s classic tweed to more vibrant 90s-era neons (think The Fresh Prince of Bel-Air). Versus Versace only capped two of its models, but the accessory still made an impression teamed with a leather minidress or a sleek cut-out sweater dress both styled with buckled boots. Rihanna’s Fall 2017 Fenty x Puma offering was all about sporty staples on acid, baseball hats included. Burberry brought back its infamous check pattern in cap form, much to the delight of the Burberry faithful (like Rihanna). And Public School made a statement by adding six “Make America New York” hats into the mix. With Gucci hopping on board the baseball hat bandwagon, you can bet we’ll be seeing a lot more caps on the street style set. But you don’t have to blow your bucks on Gucci’s creations to pull off the look (just an assumption, but we’re betting Gucci’s caps will be more than our paychecks). We managed to find 14 baseball hats that cover all the bases — from supporting your team to making a fashion statement — without demolishing your budget.